Light, bright and open, this stunning home sits in a cul-de-sac lot in Woodstock&apos;s best neighborhood. Dream kitchen complete with granite, white cabinetry, SS appliances and walk-in pantry. 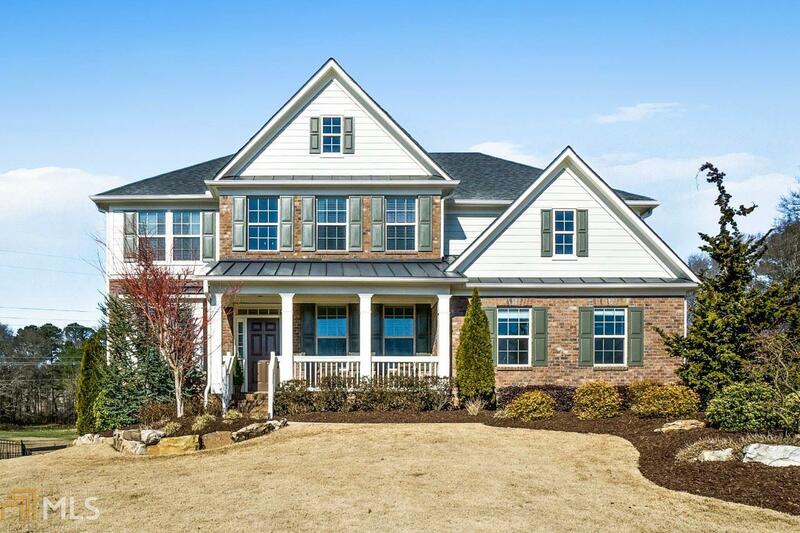 No expense spared to upgrade this home: 50K in landscaping alone, irrigation system, custom built-ins & closet systems, premium lighting fixtures, shiplap accent walls, home-theater in basement, and much more! Large, flat, fenced backyard oasis complete with fire-pit & flagstone patio with lake view and green space as far as the eye can see! This home is a rare find! Directions: 75n To I-575, (Exit 9) Right Onto Ridgewalk Pkwy Until Dead Ends, Left On Main St, Right Into Woodstock Knoll (Johnston Farm Lane), Take First Left Onto Castle Creek Dr, Left At Spotted Ridge Cir, Home Is At The End Of The Culdesac.